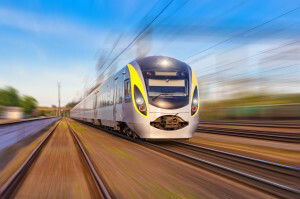 The high speed rail project, XpressWest, is back on track thanks to the Florida-based company Brightline, who announced they will acquire the project. The plan is to start construction next year and have a link between Las Vegas and Victorville by the year 2022. The first Southern California station is expected to be located in Victorville and planning for additional stations is underway. Brightline also plans to purchase approximately 38 acres near the Las Vegas strip for construction of the train station and other development. Brightline already operates high speed rail services in Florida, so this is not unfamiliar territory for the company; but XpressWest will be their first project outside of their home state. According to studies cited by Brightline, more than 50 million travelers make the trip between Southern California and Las Vegas annually. This will give people a welcomed third option aside from car or plane, and it should be just under two hours of travel time. The studies also showed that the new rail line should produce approximately $1 billion yearly from operating revenue by 2035. This project would mean more jobs and economic growth for the city of Victorville and the entire Victor Valley region. Enter your email address below to receive monthly updates of the most recently published featured articles from our blog.